In February 2014 we were shocked to hear of two cases of acute EGS in Guernsey – the first ever recorded cases in the Channel Islands. Three shetland ponies, Eddie, Cas and Flyer, came in from the field that night and immediately alarm bells rang for owner Liza Batiste when they only took a nibble at their feed. Suspecting colic Liza called the vet and monitored them overnight. Their heart rates were sky high and as the hours progressed they started to sweat and tremble. By the following afternoon Cas and Flyer were gone. Devastated, Liza started to fear the worst for the third pony Eddie. That evening though, Eddie’s snoring started to subside, his heart rate came down, the trembling stopped and he was steadier on his feet. Turn the clock forward to 2015 and the second Charity Showing Show organised by Liza to raise funds for research into grass sickness. 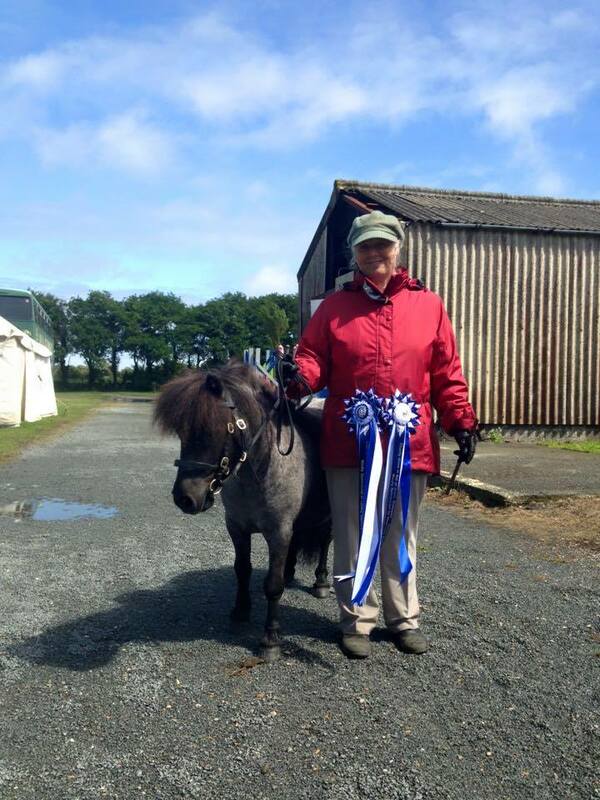 Not only has Eddie made a marvellous recovery, but here he is with Jenny Batiste winning Supreme Champion!! Huge congratulations to Liza and Jenny for the special care they gave Eddie resulting in his recovery. The 2015 show raised an absolutely wonderful £1600. Thank you so much to Liza and team and very well done for raising this superb contribution to EGS research.